To make the miso marinade, place the miso paste, mirin, honey, soy sauce and sesame oil in a small bowl and whisk to combine. 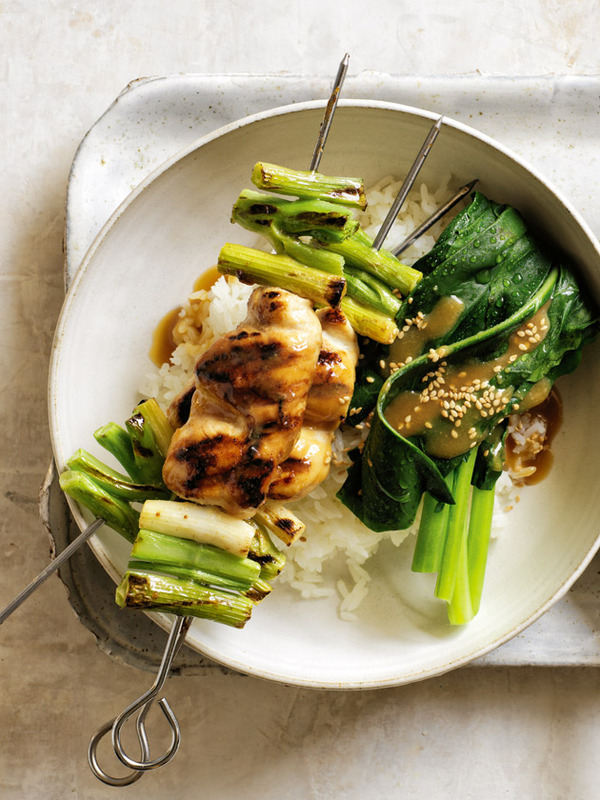 Thread each of 12 long bamboo or metal skewers with a few pieces of gai lan and onion. Add the chicken, threading the tenderloin lengthways. Top with the remaining gai lan and onion. Heat a well-greased char-grill pan or barbecue over high heat. Cook the skewers for 4 minutes each side, brushing frequently with the miso marinade, until golden and the chicken is cooked through. Place the remaining marinade in a small saucepan over medium heat and bring to a simmer.